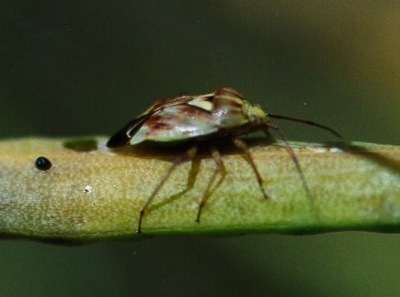 Lygus schmygus. 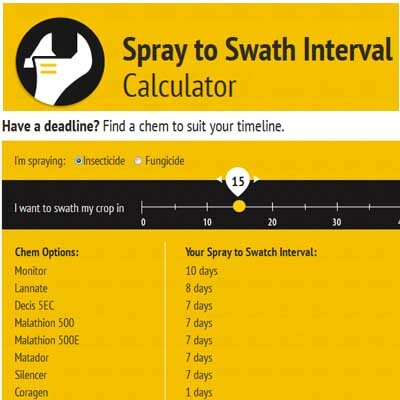 Sweep net counts approaching thresholds have been reported in many areas across the Prairies, but high counts may not require a spray if canola is growing vigorously and has good moisture conditions. Low bertha. Trap counts for bertha armyworm adults are fairly low across the Prairies, except for a few hotspots in central Alberta. 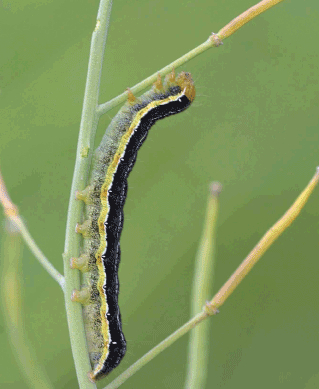 This suggests a minimal threat of heavy worm damage overall, but don’t let your guard down completely. Diamond backtrack. Beneficials seem to be doing a good job on diamondback moth larvae. Unless you see significant pod feeding and counts exceed 20-30 per square foot at a few random sites in the field, spraying will not likely provide an economic return. Why the miSing podS? Six leading factors can cause blanks up the stem. Sulphur deficiency is one of them, and could be a leading contender this year. This map from StatsCan’s Crop Condition Assessment Program uses NDVI satellite imagery to show crop growth. This map compares growth to July 21 this year with the same period last year. 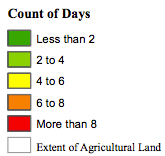 Yellow indicates that growth is about the same as last year. Light brown is behind. As you can see, crop growth for most of the western Prairies is around the same pace as last year while most of the eastern Prairies is behind. Test your worm ID skills with this week’s quiz. 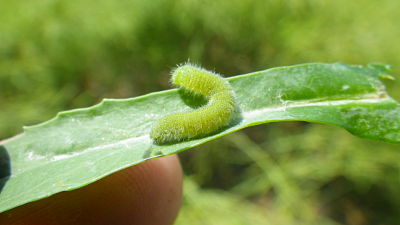 Threshold tables for lygus suggest, for example, that if canola is $12 per bushel and spray costs $8 per acre, the threshold at the early pod stage is 5 lygus adults or late instar nymphs per 10 sweeps. Current thinking is that 5 lygus per 10 sweeps (0.5 per sweep) is too few to warrant a spray, and that the economic threshold is likely quite a bit higher. 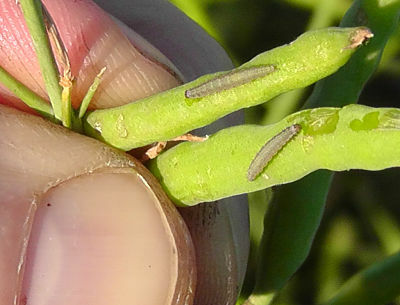 Thresholds are 100-150 larvae per square metre in immature to flowering plants and 200-300 larvae per square metre (20-30 per square foot) in plants with flowers and pods. While these nominal thresholds are based on dense stands of 150-200 plants per square metre, plant population is not a major factor. Fewer plants will have more branching and more pods, so the number of pods per square foot probably won’t change much regardless of plant population. A swede midge infestation has been confirmed near Meota, Saskatchewan, well outside the Nipawin-Carrot River epicentre. Higher numbers have also been reported near Hudson Bay, Saskatchewan, indicating an eastward migration as well. But while the insect seems to be spreading in distribution, overall numbers and levels of damage are down this year across the province. Pre-harvest interval (PHI) refers to the amount of time that must lapse (in days) after a pesticide application before the crop is cut. Cutting refers to swathing or straight combining. Each crop protection product has its own PHI, and the PHI for a specific product often vary by crop. 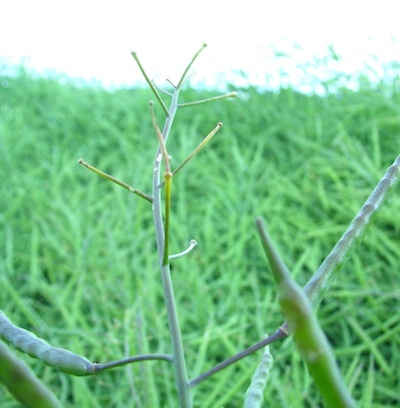 Seeing signs of canola disease but you don’t know what it is? 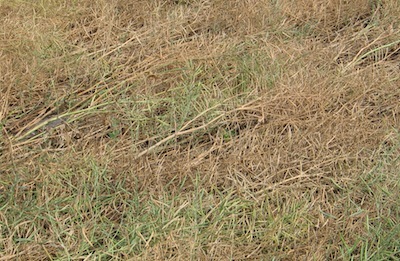 Read this article: Disease to look for while harvest scouting. Watch this video: CCC pre-swath disease scouting video. Distinguished pests. CCC agronomists launch a new video (embedded above) this week with tips and helpful images for your pre-harvest disease scouting routine. Who ya gonna call? More tank mixes and more time stress create all sorts of scenarios for crop-damaging mistakes. Hopefully the two parties can figure out the problem and resolve this situation amicably. If not, a consulting agrologist might help. Nein-1-1. A decision to apply a rescue treatment for hail or heat requires two things: (1) Realistic expectations that an economic return may not occur and (2) acceptance that sufficient independent research on boron or any other rescue treatment hasn’t been done. Bloomin’ long. 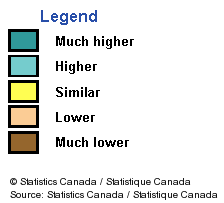 Canola with low plant populations will flower longer. With rain or humidity and a long time at “full flower,” is a second fungicide or a late first fungicide now worthwhile? Assess the situation and the tolerance for risk. The areas in orange and red have had the most days with maximum temperatures of 28°C or above in July. These hot days can cause higher levels of flower abortion, especially if they come in combination with warm nights. Areas in light green have had 2 to 4 days with maximum temperatures of 28°C or more, and dark green areas have had fewer than 2, which would be considered good news on the heat front for those regions. Thanks to Trevor Hadwen at AAFC for creating this map from their data. We have three questions on insects plus a mystery question (shown in the photo above). We don’t know what this is, and we’re hoping you might. 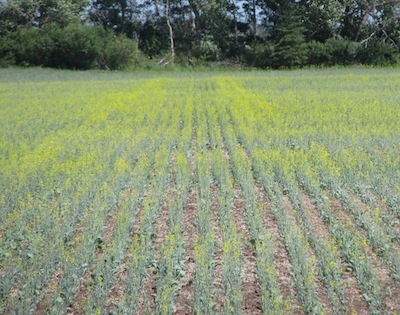 Yield-robbing levels of disease will be easy to spot in canola fields now and through to harvest. 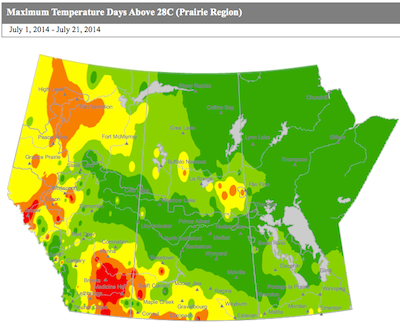 This is a great time to start your pre-harvest disease scouting. 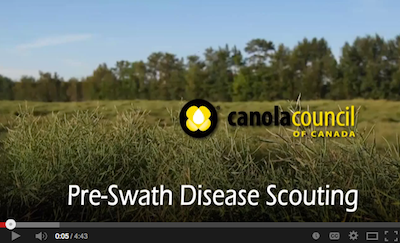 The CCC has released a new pre-swath disease scouting video available on www.canolacouncil.org on proper identification including tips and close up views of typical damage from the major diseases. When strange patterns of damage in canola fields line up perfectly with the sprayer boom width or follow typical drift patterns, phone calls and finger pointing begin. Explanations can be simple: The wrong product was added to the tank, or the right product was applied but on the wrong field. But situations are often much more complicated — and made even more so by the wide variety of products that go through sprayer tanks. Mixing order becomes a potential problem, with unforeseen consequences if new never-used-before mixes are tried or if the proper mixing order is messed up or if products are not given time to come into suspension before the next product goes in.